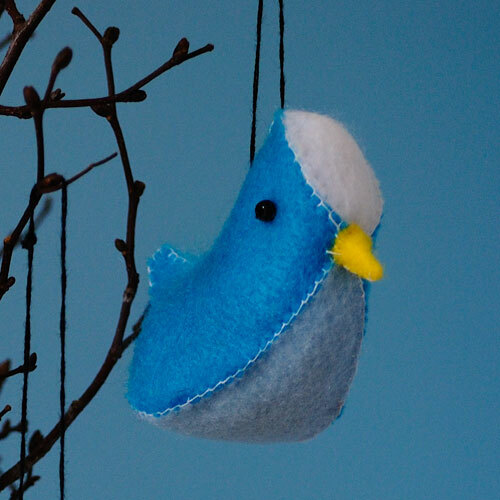 Do you know, I don’t like to sew very much but when I saw these sweet little birds on Pinterest I had to make a trip to Jo-Anns to buy a few squares of felt so I could have a go. 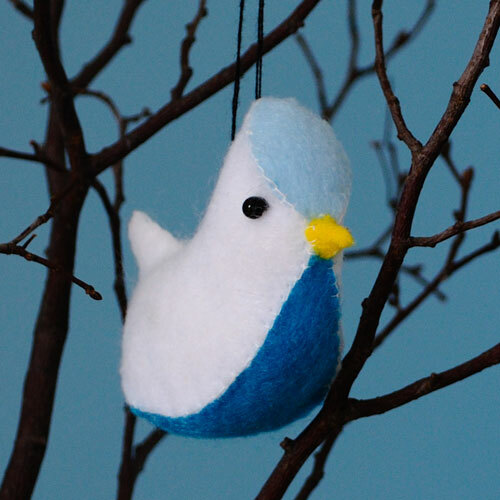 My color choices were inspired by two little fluffy pet parakeets Chicago teenager has and the pattern and tutorial is here. 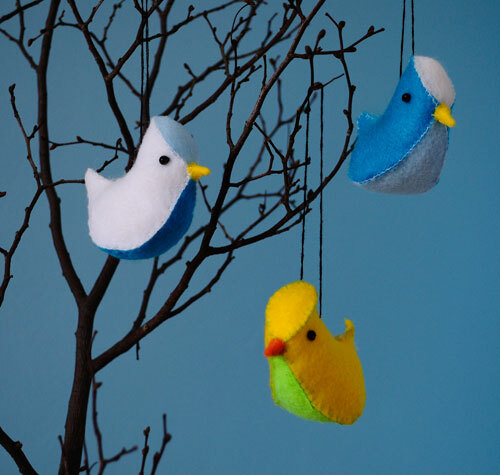 This entry was posted in Craft Projects, Sewing. Bookmark the permalink. Ha Ha Karah…they were made with a fair bit of swearing every time my needle became un-threaded …and the fact I had to resort to wearing reading glasses to see what I was doing! Thanks so much for sharing in your gallery. 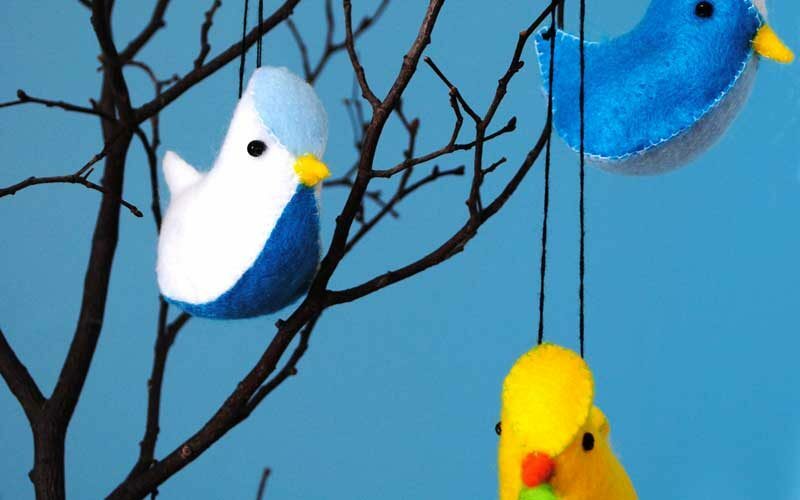 Love your felt birdies! Looks so much fun and easy to make! You’ve been featured at http://www.plushiepatterns.com! We love your tutorial. Feel free to submit any plushie or doll tutorials to be featured again.